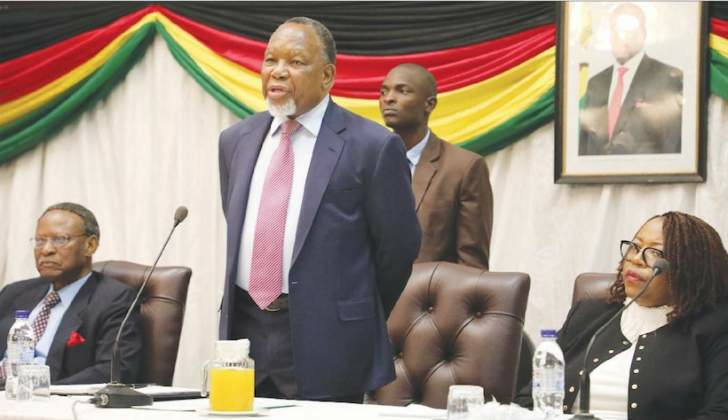 Allegations that Kgalema Motlanthe's team submitted their executive summary and possibly some of the commission's findings to the controversial president of Zimbabwe ED Mnangagwa are dangerous to the credibility of their final report. Submission of an executive summary before the final report is not different from buying preparation before conceiving, an executive summary should be a summary of the entire report. Even if the team is to submit its final report on 16th of December 2018 (at the end of a three-months period), time won't be enough for the team to write a genuine and credible report. This piece seeks to demonstrated that the Kgalema Motlanthe team's report is no longer credible but questionable. The commission just like any other opted for a qualitative inquiry. The overall design used was phenomenology (that seeks to explore the lived experiences) of the respondents on August 1 massacre actions by the soldiers. As per the dictates of phenomenology, respondents should be given enough time to share their lived experiences without interruptions. The Kgalema Motlanthe managed to give respondents time to share their experiences before questioning them during the interviews, they should be recommended for this. I have no problem with the commission's process of data collection but I am not still convinced that they selected ‘key informants' to provide data to the commission. There were people (respondents) like Linda Masarira and those outside Harare who were not key informants according to my assessment. Key informants like ED Mnangagwa, VP Chiwenga, soldiers who participated in killing of innocent civilians and those who demonstrated (arrested by the police on august 1 2018) were not presented before the commission. This is why the report should be declared useless and political. The time for the commission to complete their report should not be less than one month because of the complex nature of qualitative inquiry's data analysis. Qualitative inquiry has at least 5 steps of data analysis, transcription stage is the most hectic and complicated step. Out of four methods of transcriptions, commissions/commissioners often employ the verbatim transcription or discourse analysis because they capture the emotions and non-verbal languages. During the data collection, some respondents wept, became violent, expressed non-verbal cues and disruptions were reported in Bulawayo and all these have to be captured in transcripts. For one to transcribe (verbatim) a single 30 minutes interview, he/she needs between 7-10 hours of transcribing depending with the speed of the transcriber. The commission interviewed more than 100 respondents in less than 3 months, it means the commission need/needed 700 hours or 29 days to transcribe 100 interviews without sleeping at night. Not less than 4 hours are required to transcribe a 30 minutes interview via intelligent verbatim transcription. There is no doubt that 2 days were not enough for the commission to submit an executive summary or even findings. Even if the commission is to submit their final report by 20 December 2018, time in between is not enough for the commission to go through all the steps of qualitative inquiry's data analysis. This is a clear evidence that the commission has already cooked the report because of the reasons known to them. It is not only the interviews that should be transcribed but also the videos which they requested from international media and no one knows whether the transcriptions were done accordingly. Zimbabweans need to demand for the transcriptions of the interviews and videos of the august 1 to be availed because everything was done in public. The rule of privacy did not apply because it was a public inquiry. For those close to Kgalema Motlanthe and team, tell them to avail their transcripts because the inquiry was public and I will be able to expose how the report was rigged. All in all, the commissioners were not credible, the qualitative inquiry steps were not followed therefore, the entire report is illegal and not credible. It is better to call it ED Mnangagwa commission rather than classifying it under the legal commissions. The consumers of the report should be the Zimbabweans and if they refuse to consume the Kgalema Motlanthe's final report, it will become a nonentity. Join me in requesting the commission to avail all the transcripts/transcriptions and I will be able to tell you how they rigged the analysis process.